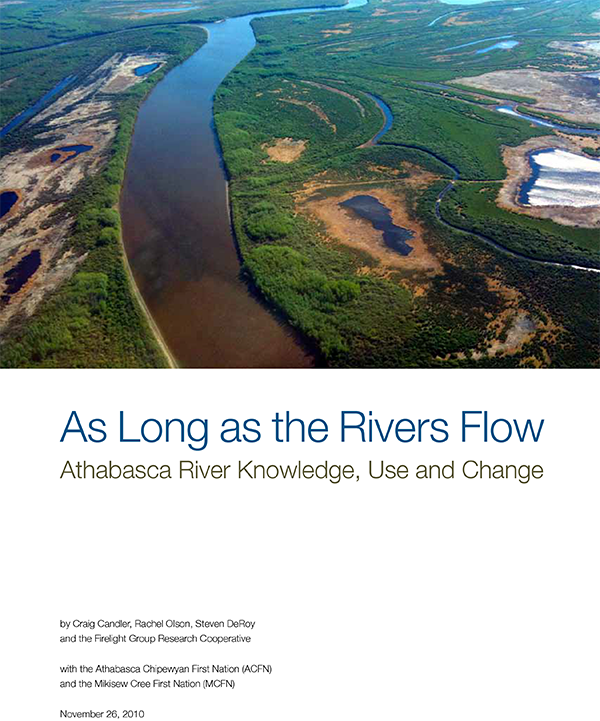 The Study confirms that, for members of both ACFN and MCFN, the Athabasca River continues to be central to their lives, their ability to access their territories, and their conception of themselves as aboriginal peoples, despite historical change. Use of the river by the participants is still strong and diverse, and while use has generally declined, it has declined in some areas more than others. Use for drinking water, trapping and teaching have declined more than use for hunting, transportation, and cultural/spiritual and wellness practices. The Study suggests that reduced quantity and quality of water in the Athabasca is having adverse effects on the ability of ACFN and MCFN members to access territories, and to practice their aboriginal and Treaty rights, including hunting, trapping, fishing and related activities. Adverse effects are particularly evident where the preferred manner, or location, of exercising rights involves access to territories by boat, or where the right relies upon confidence in the quality, or safety, of foods or other resources procured on traditional lands influenced by industrial use. Map A combines Maps 3 (Reported Instances of Lost Use due to Water Level) and 4 (Reported Instances of Lost Use due to Water Quality) from the full report, to show where specific instances of avoidance related to low water levels, or poor environmental quality, have occurred. River-based transportation and health related to environmental contaminants are both important areas of federal jurisdiction. important areas of federal jurisdiction. • Undertake additional work and action to further understand and address effects that contamination, and the fear of contamination, are having on ACFN and MCFN use of traditional lands.